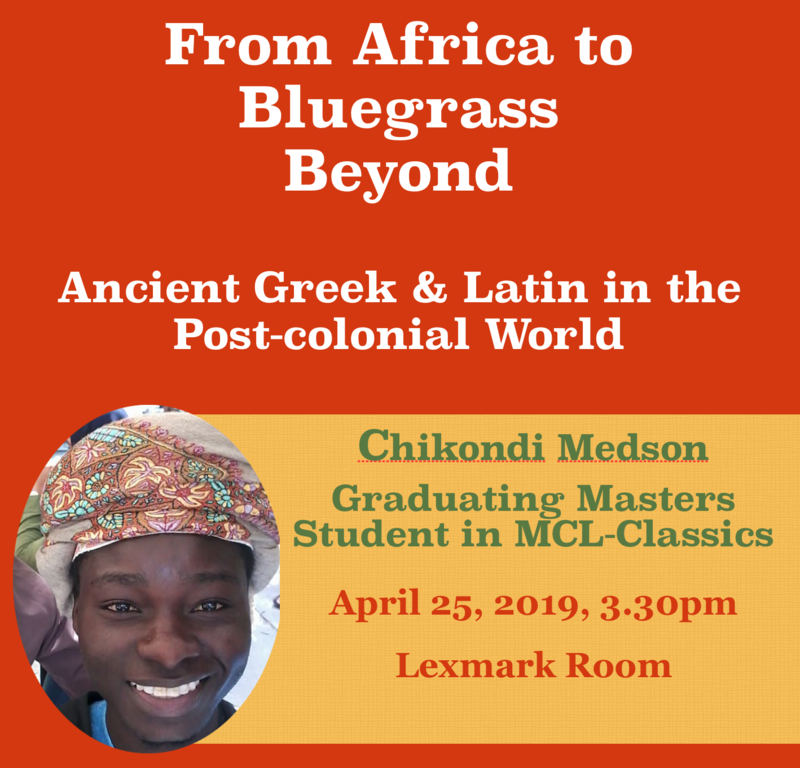 The Department of Modern and Classical Languages, Literatures and Cultures in the College of Arts and Sciences at the University of Kentucky invites you to “From Africa to Bluegrass and Beyond,” a talk by Chikondi Medson, M.A. Candidate in Classics, on April 25, 2019, 3.30-5.00 in the Lexmark Room, Main Building. Dicussants: Erica Krause, M.Ed., M.A. Candidate in Classics, Anthony Parenti, M.A. Candidate in Classics. Refreshments will be served.